8 Comments As an Amazon Associate I earn from qualifying purchases. We are gearing up to Harvest Party time at my daughters’ school. I’m the room mom in my daughter’s class. We just had our meeting. I proposed two ideas. The first, we do a traditional harvest party using ideas similar to the parties you find here and here. The second option was to come up with a harvest theme like we did with our candy corn themed harvest party from last year. The moms at the meeting decided that it would be more fun to do a theme. We began brainstorming themes, and we came up with these ideas: pumpkins, scarecrows, spiders, apples or leaves. Everyone thought it would be fun to do spiders, so the theme was hatched, and we began brainstorming ideas. 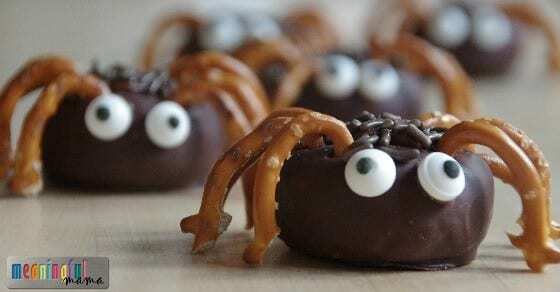 It’s always fun to come up with themed food ideas, and this spider theme provided many opportunities to be creative. 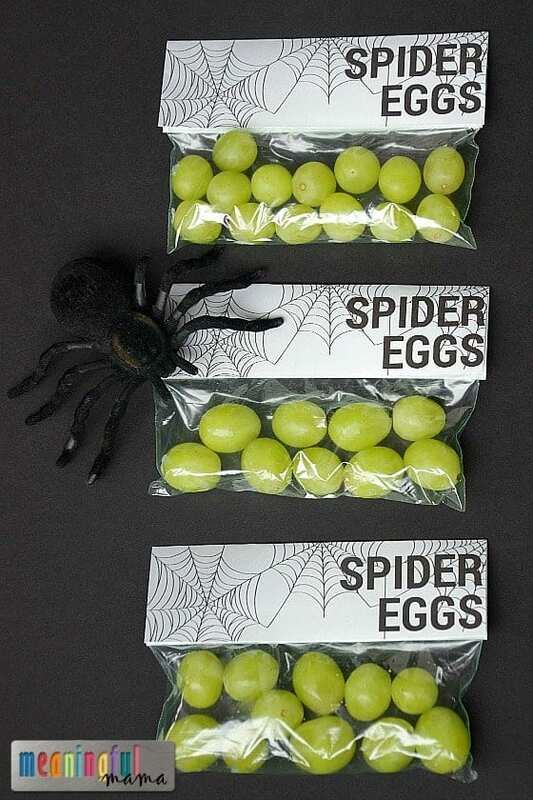 This spider eggs printable was a solution to providing some healthy harvest treats at the party. 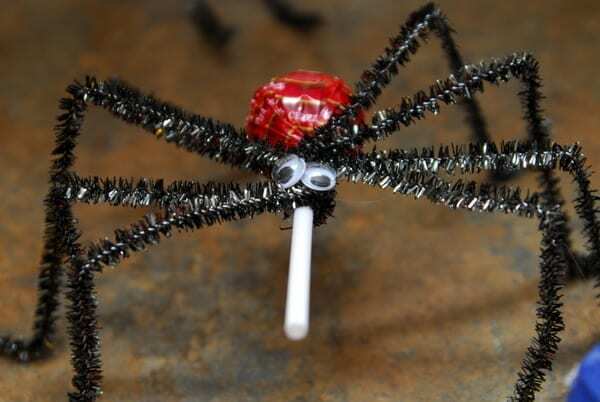 For more spider ideas, type “spider” in the search bar up by my logo or see the links below. I like to provide you with free printables to make life easier for you and these projects do-able. I would love it if you signed up to receive my weekly newsletter to stay in the loop when I make other printables available. 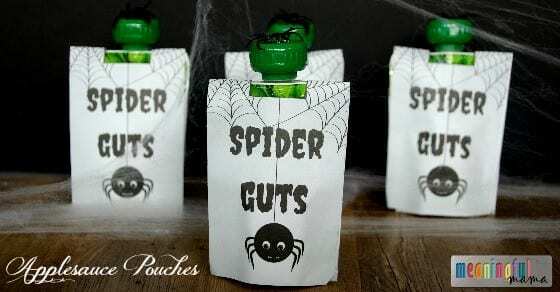 For the spider theme, you also might enjoy my spider juice boxes and spider guts. 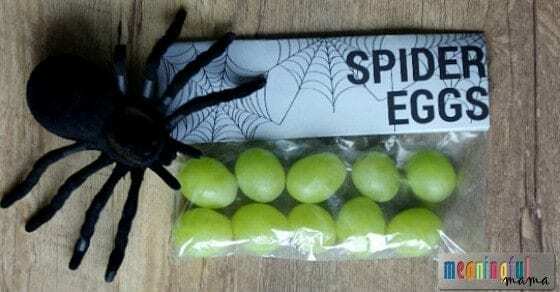 It’s super simple to put together this fun spider egg treat for your kids or students. I love to have the kids help too. Make sure everyone helping washes their hands or wears protective gloves. Print out the printable I created and then cut it to size. Each sheet printed out provides two images. Once cut, fold it in half. 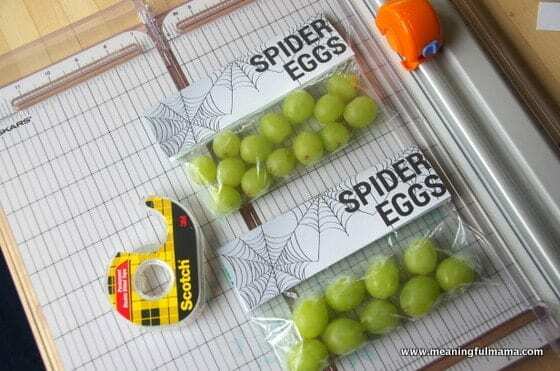 Add the grapes to the bottom half of the snack bag and zip closed. Use double stick tape or a stapler to put the spider egg printable in place at the top of your closed ziplock bag. 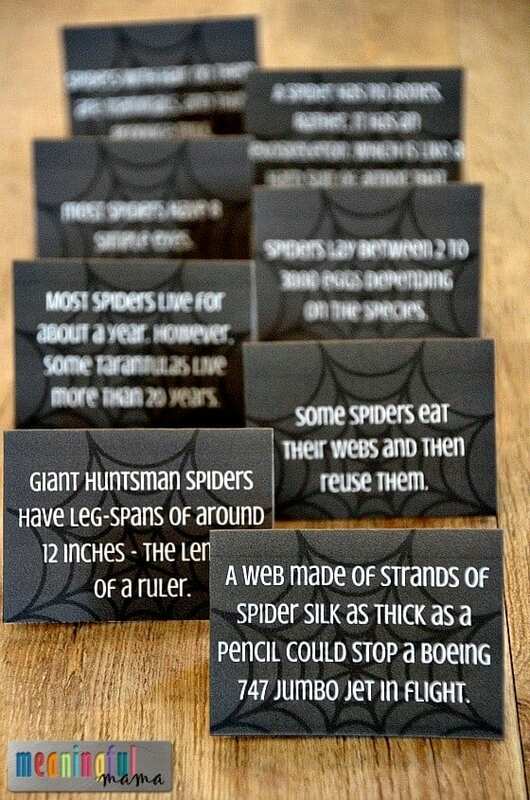 I hope your kids enjoy learning more about spiders. 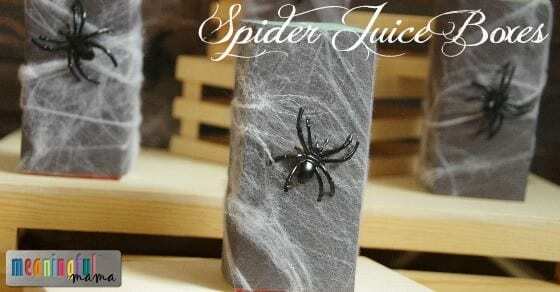 I know they can seem “creepy,” but really spiders provide a great benefit to our world. 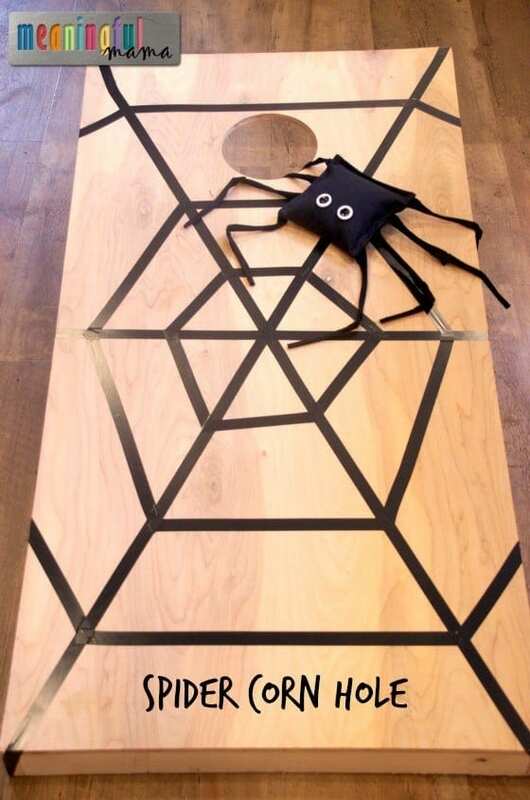 I think it’s great for our kids to learn about spiders in a positive and fun way. I’m so sorry. Sometimes documents enter into the print settings weird. I’m wondering if choosing “scale to fit” in the printer settings would have helped. I will look into it. This is great! Thanks so much for sharing! You are welcome. So glad it’s going to good use.